SkiDebrief – the end of season wrap-up by French ski resorts – took place in Val d’Isere at the end of April 2017. As well as being an opportunity to network and share best practice, the event also saw awards handed out. 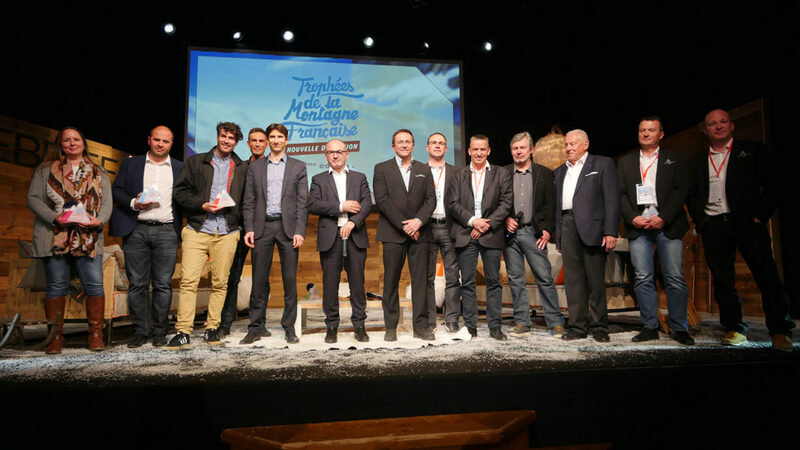 ‘Les Trophées de La Montagne Française’ were designed to reward the best new initiatives by French ski resorts. This new ‘concept hotel’ is fresh and lively, with bright colours and a relaxing atmosphere. 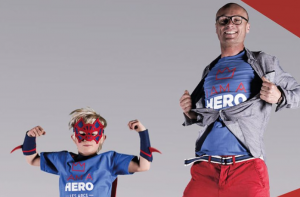 This campaign was designed to promote summer holidays in Les Arcs, with a focus the ‘heroic’ dimensions of the activities on offer. This is a collective space dedicated to environmental ideas, starting from the re-use of wooden materials for offices and showroom interior design. 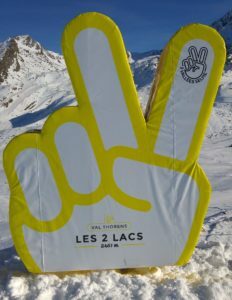 This new technology allows guests to take XXL selfies through Les 3 Vallees this season. The event agency Like That received the jury prize for their ‘High Five Festival’. This event in the heart of Annecy brings together the brands, the best freeride & freestyle skiers in the world, big air demos and freeski film makers.